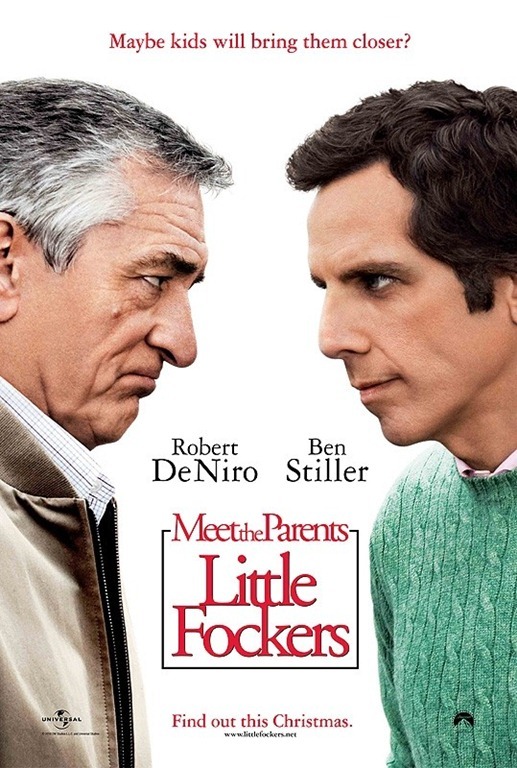 The test of wills between Jack Byrnes (Robert De Niro) and Greg Focker (Ben Stiller) escalates to new heights of comedy in the third installment of the blockbuster series — "Little Fockers." Laura Dern, Jessica Alba and Harvey Keitel join the returning all-star cast for a new chapter of the worldwide hit franchise. It has taken 10 years, two little Fockers with wife Pam (Polo) and countless hurdles for Greg to finally get "in" with his tightly wound father-in-law, Jack. After the cash-strapped dad takes a job moonlighting for a drug company, however, Jack’s suspicions about his favorite male nurse come roaring back. When Greg and Pam’s entire clan — including Pam’s lovelorn ex, Kevin (Owen Wilson) — descends for the twins’ birthday party, Greg must prove to the skeptical Jack that he’s fully capable as the man of the house. But with all the misunderstandings, spying and covert missions, will Greg pass Jack’s final test and become the family’s next patriarch… or will the circle of trust be broken for good? EN 5 Second Review: Just a sad, sad parody of itself, the Fockers have gone one too far. We winced more than we laughed. What a total waste of an amazing cast. “All Good Under The Hood” – Greg (Ben Stiller) has another awkward conversation with Jack (Robert De Niro). “Big Daddy” – Andy Garcia (Jessica Alba) meets Pam (Teri Polo).